YearI bought her used in 2000. I think she was made in 1989 but I am not sure. 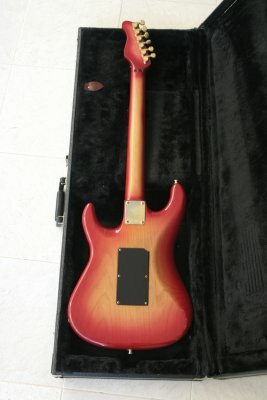 The body is made of 1 piece swamp ash, 7/8's, 24 frets. The neck is one piece birdseye maple with rosewood fingerboard and pearl dot inlays. 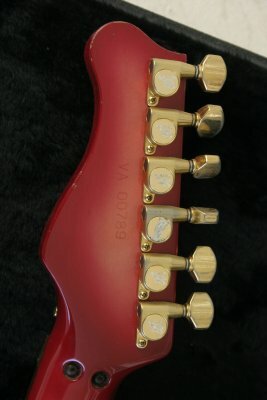 The pickups are the original factory placed EMGs. There are two knobs, volume and tone. 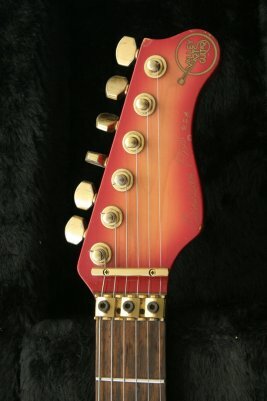 The hardware is gold and THE COLOR is the VA famous Fireburst. This guitar is ALL ORIGINAL. This guitar sounds fantastic. Very sweet highs and very articulate mids. She has the straightest neck that I have ever seen. The neck profile is just perfect. Once you touch this guitar, then you keep on playing for ever. 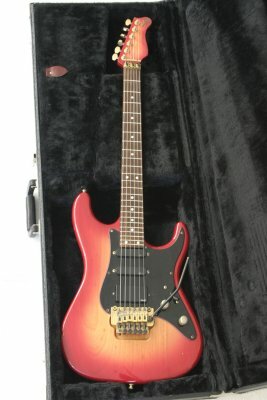 I bought this guitar as a replacement of my other VA Lukather's model ( VA 0675 ) which I bought from Martin Miranda in 1990 and unfortunately I sold it to Bryan May's Band rhythm guitarist in 1992. I remember he was a VA fanatic. I hope he still got it.